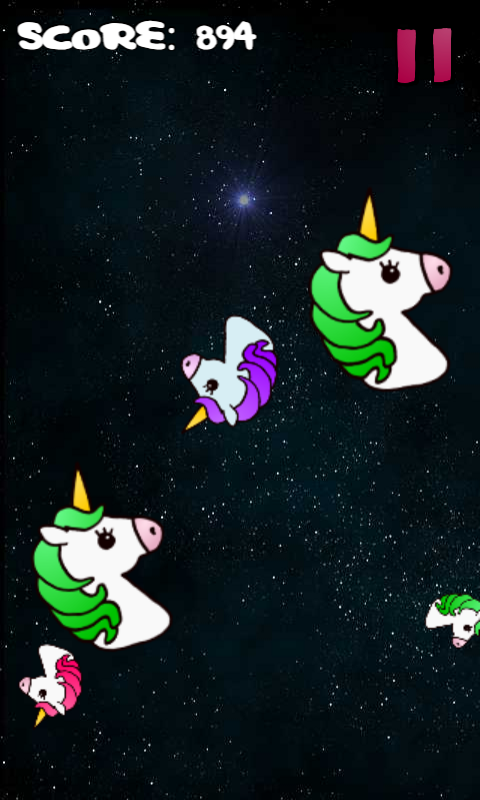 Unicorn Pop features amazing and majestic unicorns flying through space! 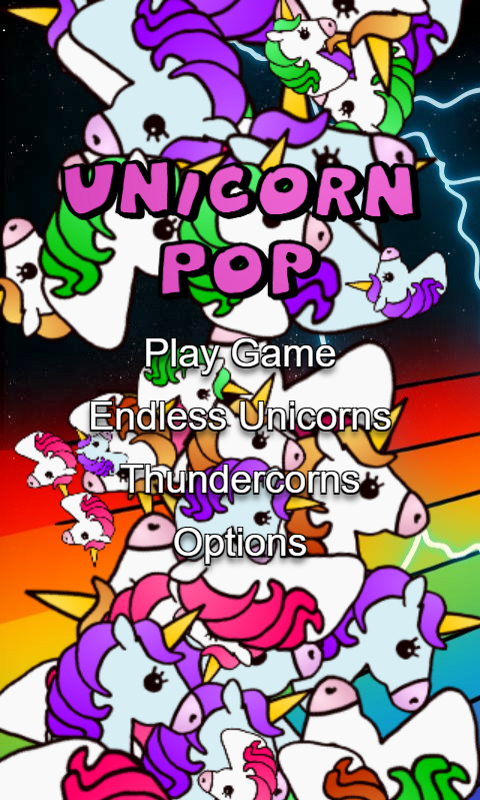 Go for the top score by popping the unicorns, creating a beautiful celestial rainbow light show! 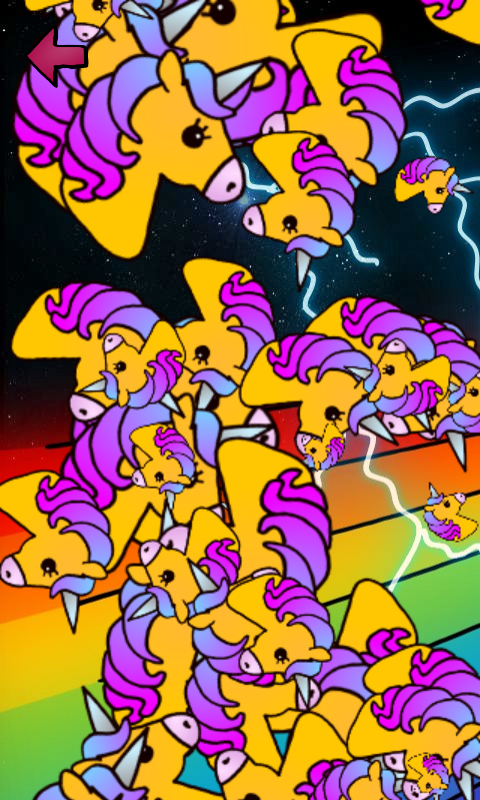 Try to avoid the regular horses, and see if you can unlock the enchanted Thundercorn!